When the subject of the ‘golden age’ of the BTCC comes up, series supremo Alan Gow often likes to remark that looking back too much gives you a sore neck. And with the championship in the position it currently is, you’d be hard pressed to disagree with him. The modern day BTCC isn’t better, it isn’t worse – it’s just different to those heady days of multiple manufacturers making household names out of drivers and paying them handsomely to do so. Gow rightly concentrates on the amount of home-grown talent populating the grid in the modern era, and with good reason. Let’s put this issue to bed early on: Like much of modern motorsport, the BTCC is not a meritocracy. It is governed by budgets and that, ultimately, is the deciding factor of who sits in which seat. But, by the same token, is the dependence on budget meaning we’re not seeing the best up-and-coming tin top talent in this series? Absolutely not. Money may be the deciding factor, but it’s also a great leveller. That set of tyres from Dunlop or a spare gearbox from the TOCA parts truck cost the same whether you’re a championship contender or a tail end charlie who’s happy with a top 20 finish. 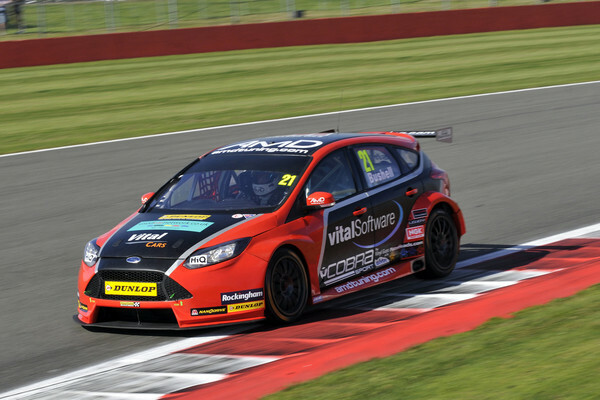 And unlike a lot of series, the current BTCC rule set means that competing at a good level is relatively affordable for everyone – while still accepting that the top teams with the biggest budgets and best engineers and drivers will still have an edge. Remember, Colin Turkington is a two-time BTCC champion and a world-class operator by all accounts. He is also a pay driver, in the most literal sense. So, to use this term disparagingly in every instance is to completely miss the point. Prominent [and recent] support alumni on the current BTCC grid includes Tom Ingram, Adam Morgan, Jack Goff, Josh Cook, Sam Tordoff, Mike Bushell and Aron Smith, not to mention the last champion from the ‘new guard’, Andrew Jordan, from a few years before. A list which tends to rubbish the suggestion that all BTCC seats are based on budget and not talent. Goff is a fine example of how the current system can work. Sure, his cars look like someone’s fired a load of stickers out of a cannon at them, but the end result is the same. A talented driver can make the grid, even if it means hundreds of chasing phonecalls to small sponsors, instead of relying on one major backer. Compare this to Formula One, where you could argue until the cows come home [and I do…] about people missing out on seats due to inferior drivers with big wallets. There’s no contest. Yes, it would be churlish to suggest that no good BTCC drivers have missed out on seats in recent years, but the number is significantly lower than a lot of major series. And what of the future? 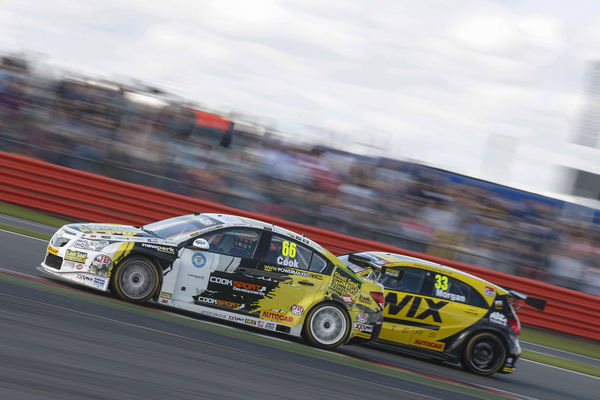 Plenty of BTCC teams have seen the value in recruiting from within the TOCA package. New Clio Cup champion Ashley Sutton is already backed by Warren Scott’s Team BMR; Adam Morgan’s Ciceley Racing are joining the Clio field next season and Josh Cook’s Cooksport team are already there. 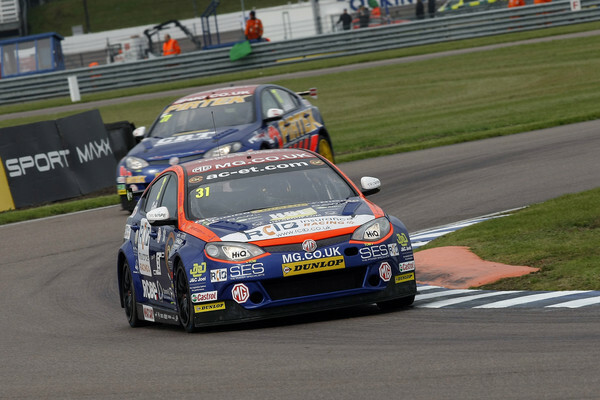 The links between the BTCC teams and the support series are growing by the year. Making a sport great with ‘big names’ isn’t just about paying the big bucks to bring them in from afar (as any football fan ought to tell you). It’s also about developing from within, and remembering that your Jordans, Goffs and Morgans of this world weren’t household names with BTCC fans a few years ago.